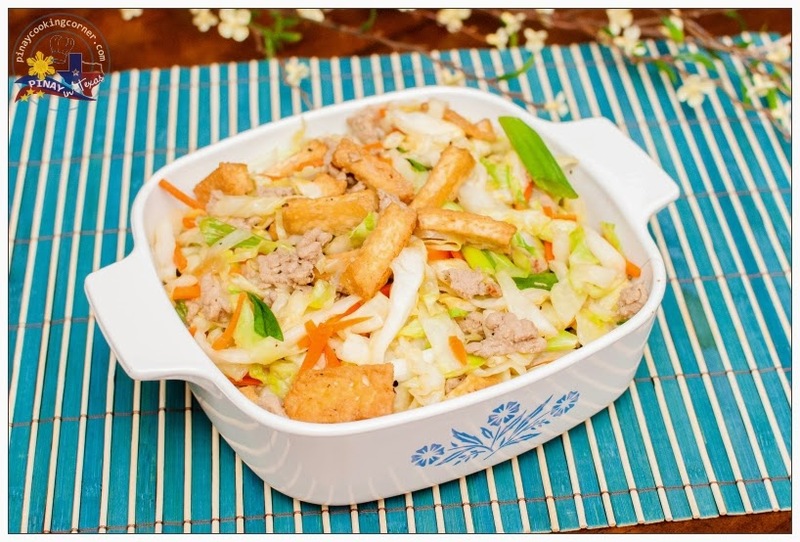 If you want something quick and easy to prepare, then this Ginisang Repolyo is what you're looking for. With just a few ingredients, you'll have a yummy accompaniment for rice in no time. The best thing about this dish is its versatility. 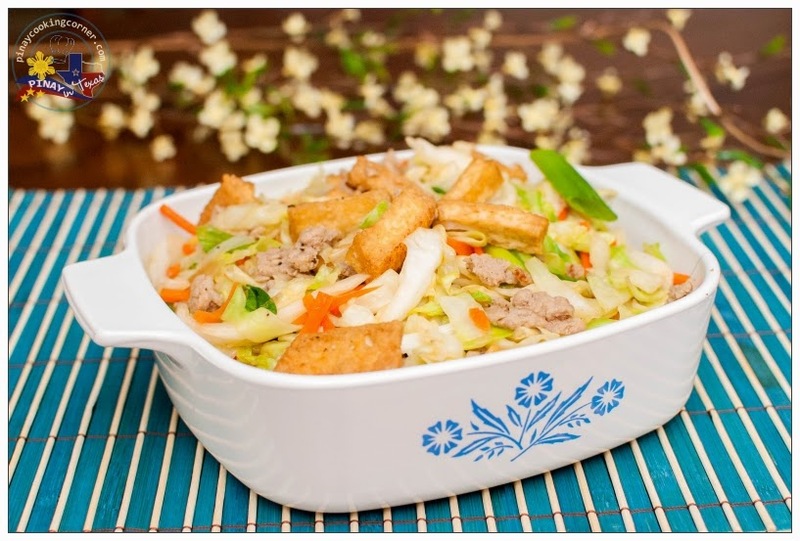 In this recipe that I am sharing with you today, I cooked the cabbage with ground pork and tofu, but you can also use beef, chicken or even shrimps. This is one healthy dish that's worth trying! My daughters who aren't big fans of cabbage love eating this. I'm pretty sure you will love it too! 1. 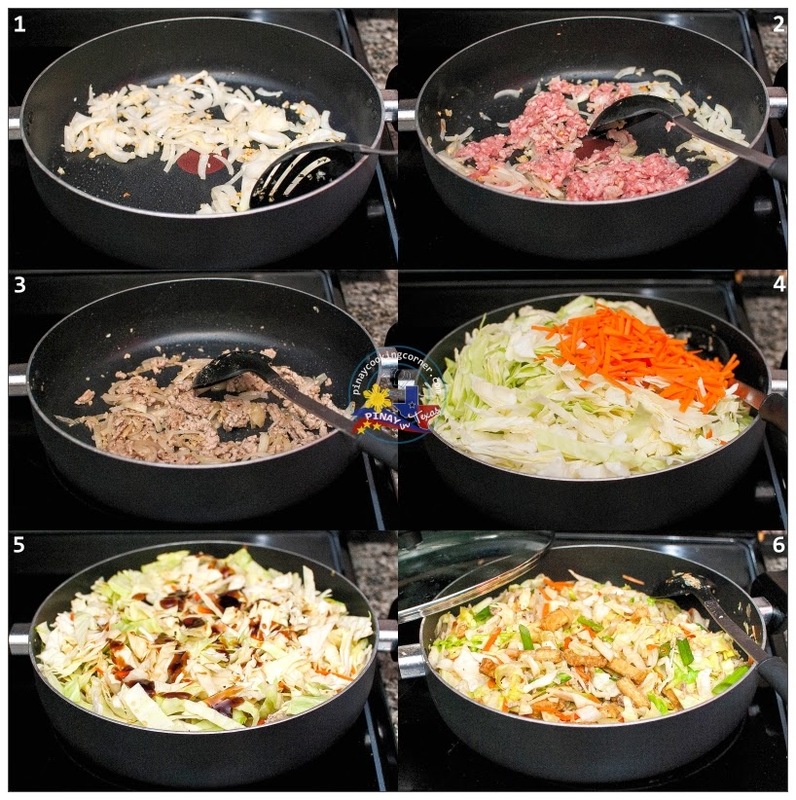 In a wok or large skillet over medium heat, saute garlic until light brown. Add onions and saute until translucent. Add ground pork and saute for 3 minutes or until there's no more red part showing. Season with about 1/2 teaspoon of salt and 1/8 tsp freshly ground pepper. Mix well. Cover and cook for about 5 minutes or until pork is tender. 2. 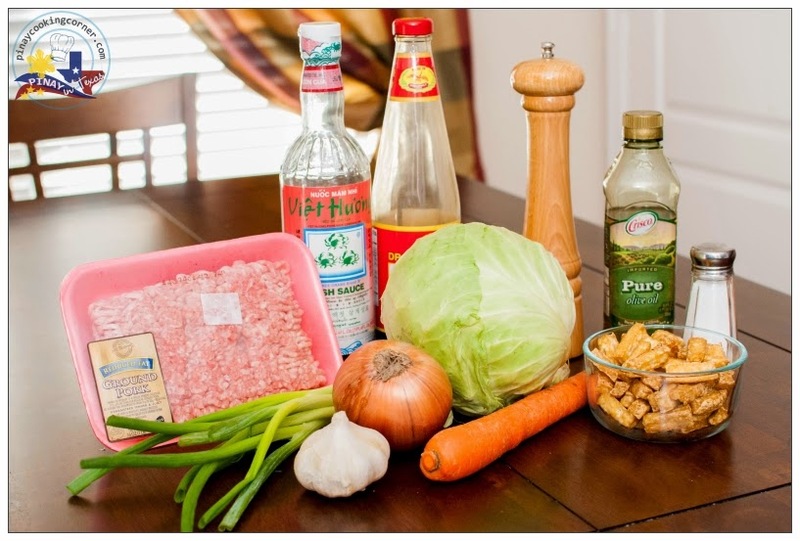 Remove cover and add the cabbage and carrots. Stir until well combined. Add fish sauce and oyster sauce. Continue stirring until well distributed. Cover and simmer for about 3 minutes. Season with salt and pepper to suit your taste. Add tofu and green onions. Mix until well incorporated with other ingredients. Remove from heat. Serve with steamed rice. My fave! Simple but delicious!